Great value bundle of 3 products to nurture and care for damaged & stressed skin. 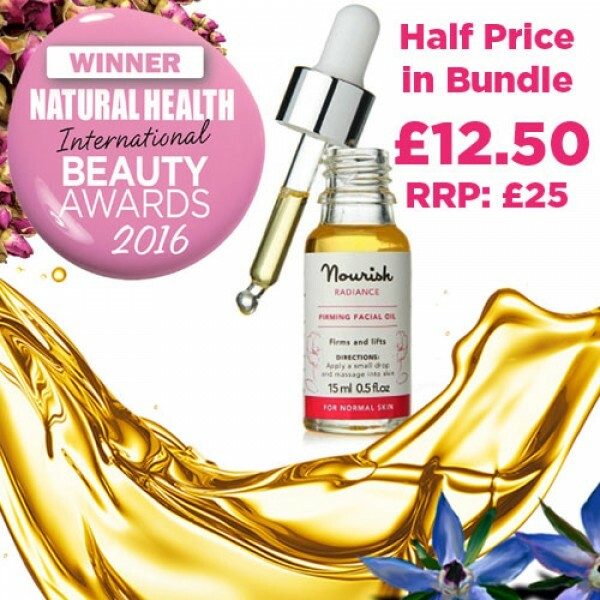 Buy the Argan Skin Rescue Facial Serum & Argan Skin Renew Moisturiser and the Radiance Facial Oil is included at half price, saving you £12.50. These high performance formulations use a superior blend of organic ingredients and essential oils to deliver excellent results. Neutralises harmful free radicals and reduces the blotchiness and scarring associated with injury, acne, eczema and psoriasis. 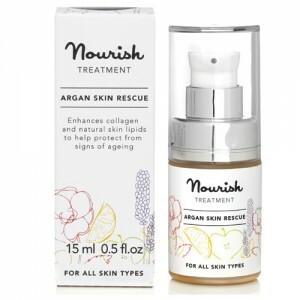 Repairs and restores damaged or stressed skin. 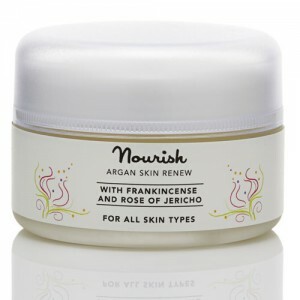 Renewing cream that dramatically boosts skin hydration and repairs damage. Advanced cellular enzymes help respond to damage and repair skin, whilst also reducing water loss and improving hydration. A deeply luxurious blend of omega-rich Macadamia and Pumpkin oil together with Rosehip and Borage oil, with a rich fragrance of Geranium and Damask Rose. Marine Kalpariane and Frankincense help stimulate collagen to counter the signs of ageing. 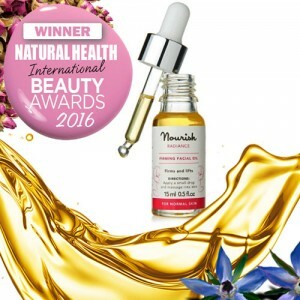 High-tech natural and organic formulations that deliver real results, Nourish Skincare provides a modern skincare support system to keep skin in optimum health . Aqua, Simmondsia chinensis (jojoba) seed oil*, Helianthus annuus (sunflower) seed oil*,Glycerin**, Cetearyl alcohol, Palmitoyl tripeptide-5, Cetearyl glucoside, Argania spinosa (argan) kernel oil*, Sodium levulinate, Levulinic acid, Selaginella lepidophylla (rose of Jericho) extract, Lactobacillus ferment, Crambe abyssinica (Abyssinian kale) seed oil, Borago officinalis (borage) seed oil*, Rosa canina (rosehip) seed oil*, Cetearyl olivate, Sorbitan olivate, Glyceryl stearate, Sodium hyaluronate, Aloe barbadensis (aloe vera) leaf juice powder*,Tocopherol, Olibanum oil*, Potassium sorbate, Bisabolol, Zingiber officinale (ginger) root extract, Commiphora myrrha (myrrh) oil, Limonene. *Certified organic. **Organic origin. Naturally present in essential oils.